Shanghai. DOMOTEX asia/CHINAFLOOR, Asia-Pacific’s most established trade show for the flooring industry has seen great success with their signature product pavilions over its 20 year history. However, The Luxury Brands designer carpet showcase in particular has captured the attention and respect of the industry due the event’s quality of hand-made carpets and popularity of the international designers participating. The DOMOTEX asia/CHINAFLOOR team and COVER Magazine are thrilled to announce the second edition of the curated Luxury Brands exhibition and designer carpet collection taking place in Shanghai from 20-22 March 2018. 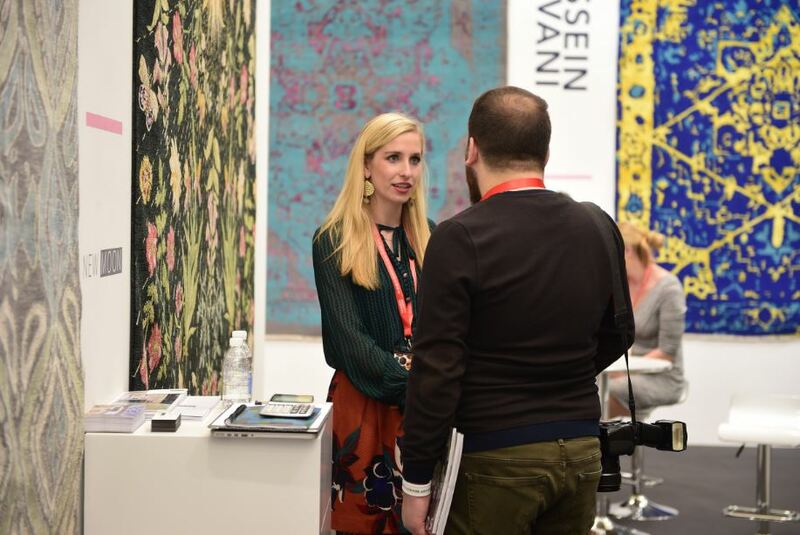 VIPs, invited guests, and international journalists can visit the signature marquee in Hall-W5, presenting 16 renowned carpet design firms who indulge visitors with a variety of extravagant products. Each company introduces two of their finest hand-made rugs with the goal of attracting buyers as well as industry professionals interested in collaborating on future design projects. Exhibitors (and visitors alike) are excited by the great mix of design that will be on display at Luxury Brands and the potential it adds to the show, bringing high-end rugs to a greater Asian audience. In celebration of this growing product niche at the exhibition, show organizers and COVER also organize an opportunity for international visitors to catalyze their participation by applying for the 2018 Carpet Delegation. Delegates who are selected follow exclusive DOMOTEX asia/CHINAFLOOR Carpet Sector tours and are personally introduced to the Luxury Brands exhibitors. More information for this program can be found on www.domotexasiachinafloor.com.